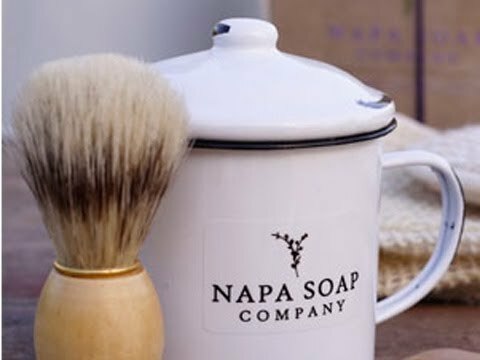 Ceramic or Enamel Shaving Gift Sets handmade in the Napa Valley. Presented in a gift box. 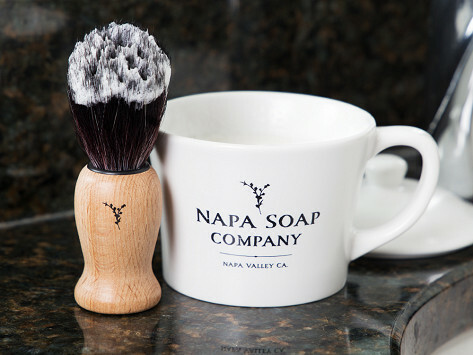 Shave mugs contain approximately one year's supply of shaving soap even with daily use. Traditional shave brush included. Dimensions (in packaging): 4.5" x 11.25" x 4.25"
Weight: Ceramic: 0.4 lb. ; Enamel: 0.59 lb. Purchased this for my husband as a gift and he loves it. He’s already researched the fact that he can refills, which says loads for the product. Gave this to my husband for Christmas one year. He absolutely loves it. Lasts a long time as well. My husband has sensitive skin. He loved this.